This year’s Medical Design Forum includes two full days of in-depth presentations, conversations and case studies focused on design strategies for responsive care. How can design professionals partner with healthcare providers and caregivers to support a more resilient healthcare system? This two-day forum will explore approaches to integrated care for behavioral health, provider initiatives for community wellness, and various research, tools and strategies currently informing healthcare design. Sessions will combine the expertise of architects, engineers, owners, providers and caregivers. Explore current approaches to integrative care for behavioral health needs. Analyze new and ongoing community healthcare and wellness initiatives from providers. 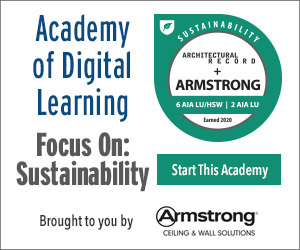 Understand the implementation of various strategies and approaches, including biophilic design and trauma-informed design research. Synthesize the combined expertise and perspectives of architects, engineers, care givers and owners in order to better understand well-designed responsive care environments. Consider ways the design community can participate in shifts toward resilient healthcare systems and environments. AIA Seattle provides the architecture community with resources and relationships to make a difference through design. We open doors, provide connections, keep our members and the public informed, and demonstrate our commitment to great design as the key ingredient for livable, sustainable places.